With his newest photography project, artist Jason Shulman has found a way to condense the essence and tone of a feature-length movie into one succinct image. 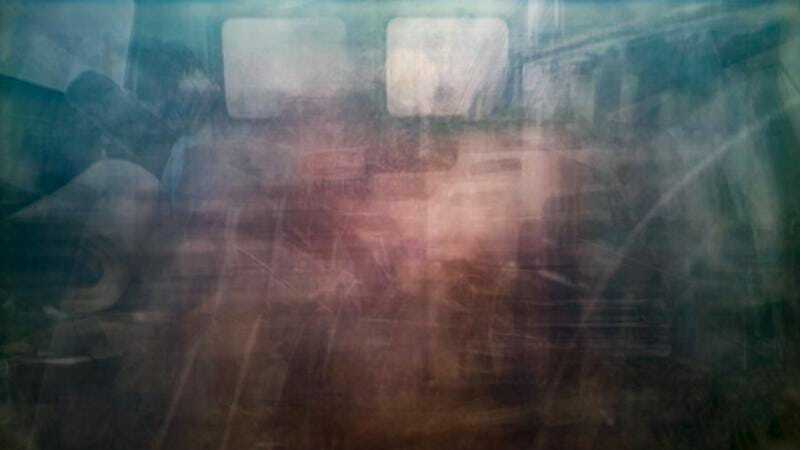 Employing an ultra-long exposure as he directs his camera at a screen playing classic films, Shulman compresses the thousands of frames into a colorful, dreamlike blur that tells you more about the movie than you might expect. “You can learn something about the director’s style from this kind of kooky translation,” Shulman told The Guardian about his project, which covers an eclectic collection of movies, from Dumbo to Taxi Driver to Tarkovsky’s The Mirror. “You can learn that Hitchcock deals with people, for example, Kubrick deals with composition, Bergman deals with… I mean lots of Bergman films are kind of moody and psychological, much more so than other films.” One could agree that you can learn these things by actually watching the films themselves, but it’s impressive that those stylistic differences come through in these impressionistic snapshots. Shulman notes that not all films were designed to be experienced this way. For example, Avatar and the rest of James Cameron’s oeuvre resulted in “a kind of Pantone swatch at the end, a kind of plain, flat blue, because he cuts very quickly, the camera’s always moving.” This explains why the films of more meditative directors like Kubrick and Tarkovsky result in images that contain distinct, recognizable objects, even while mashed up with the rest of the frames. Large-scale versions of Shulman’s work will be shown this week at the Photo London festival and is at Cob Gallery until June 4.